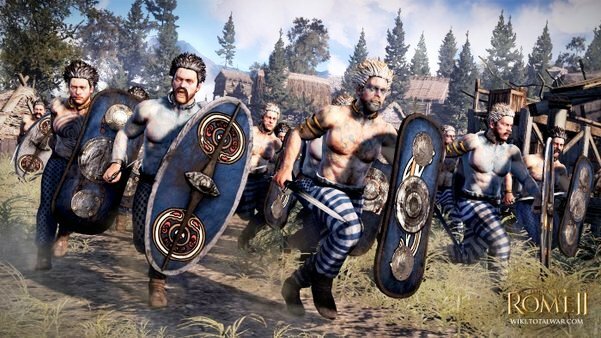 The other day Sega have told about two new Rome 2 Total War factions. At this time Iceni and Arveene will join to the Romans, Carthaginians and Macedonians. With each news release the developers are moving to the north, and most likely next time we will find out about the Norman region tribes. Arveene - some of the fiercest tribes in the central Gaul, but, despite its barbaric appearance, they have already managed to get away from the bandit raids and looting to more organized system and method of boundaries and influence extending and extraction of resources. They will become a major force of Gaul with its capital Nemausus when world war will come to their land. Proud and cruel Iceni have a strong faith-based in nature structure, they are ruthless in battle, but are willing to accept those who bow down knee before them. Druids paint their bodies with blue dye to give them more strength and unity with nature. In a short period they managed to seize control of the entire southern part of Britain. 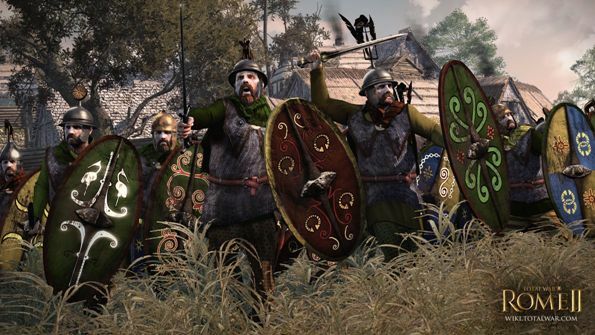 Rome 2: Total War release date is still quite vague. We only know that it will be in the autumn 2013. Follow our news and publications on the network Facebook, not to miss the release notes.